In previous article i have mentioned the Books which were related to Basic Subjects. Here i will write about the MCQs books for Dentistry Subjects, as many MCQs come from Dentistry Subjects. Again i will say there are so many Books available in market but you should go for the books from which many MCQs come in exam and the books which are easier for you to pick concepts. 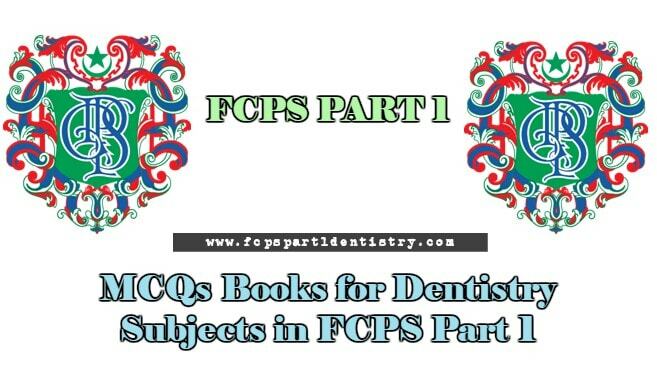 For the preparation of Dental Subjects there are mainly two books of MCQs, Book written by Vijay Pratab Singh and other Book of Dentogist. These books are for Dental Subjects. Both these books have Basic Medical Sciences editions as well as Clinical editions. For “Dental Material” you should do Vijay Pratab MCQs book, because in every exam so many questions are taken from this book. You should also do Dental Materials MCQs section of Dentogist, again in exam some questions come from it. One advantage of Dentogist is that it has brief explanation of almost every MCQ. So these two books are more than enough for MCQs of Dental Materials. If we talk about Oral Pathology MCQs then again both of these two books have so many MCQs of Oral Pathology. 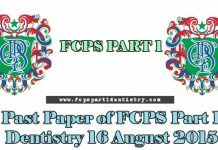 I will suggest one thing here, you should do MCQs of Past Papers present in Jahangir’s Pool of MCQs and Asim and Shoaib Dentistry , which have many MCQs of Oral Pathology. Purpose of doing all those old MCQs is that in paper repeats come and also you can have idea which Topics are more important, so you can do those topics from theory books. For Dental Anatomy and Morphology these two books have many MCQs. Again do MCQs of Past Papers present in Jahangir’s Pool of MCQs and Asim and Shoaib Dentistry so that you people can have a precise idea which Topics are more important. I will mention one thing here, MCQs of Dental Materials from these two books come in exam in more ratio than that of Oral Pathology and Dental Anatomy/Morphology. So this point should be kept in mind while doing MCQs. There is a set of MCQs by the name of Dental Decks. Dental Decks are very informative MCQs as there is explanation of all MCQs, but if we talk about how many MCQs will come from Dental Decks? The answer will be that there are very less chances that MCQs will come from Dental Decks. So if you people want knowledge and if you have time then do Dental Decks but as far as MCQs are concerned, then its better to leave it. thanks for the tips keep the good work up ! !